A hard-headed doll lives on her own in a little house in the woods near a human home, the one she originally came from. When she learns that the family is moving away for the winter, and a chipmunk takes over her home, she must fend for herself and find a new home. 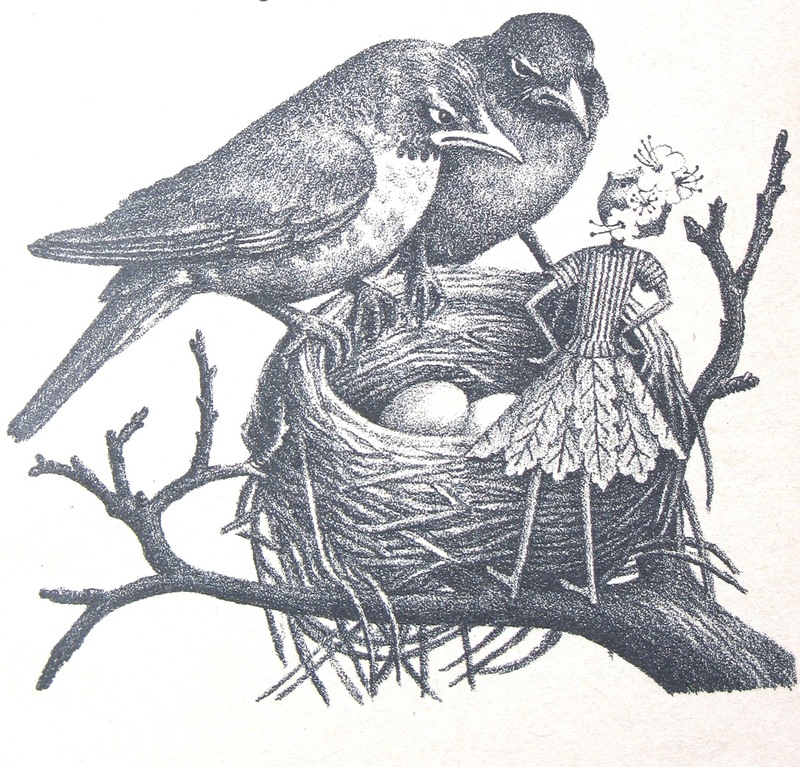 With some aid and advice from a Crow and a cat named Mr. T. Willard-Brown, Miss Hickory does quite well, though her suspicious, unfriendly nature proves slow to thaw. After a magical Christmas event, however, she begins to rue her obstinate ways. 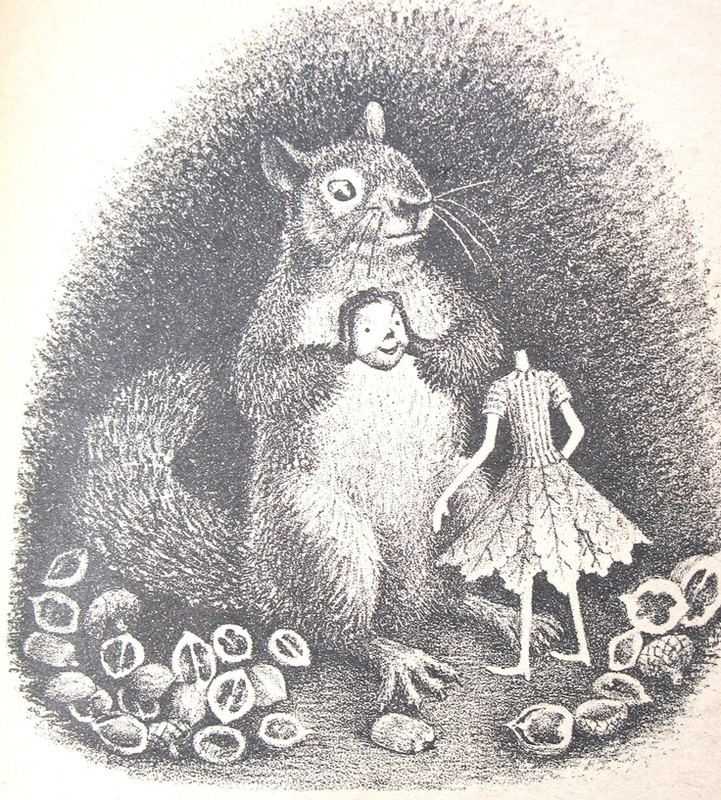 Finally in the end a hungry squirrel eats her hickory nut head but Miss Hickory carries on to a surprising new life. This book is pretty amazingly weird, I’ve got to say that. First of all our protagonist, while a doll (applewood body and hickory nut head), is an older, cranky, stubborn lady, not a child at all. She’s generally unpleasant to everyone, though her suspicions are often founded, since this is a realistically dog-eat-dog version of nature. She goes through an interesting softening of her character, as she finds herself helping other creatures and actually enjoying herself. She starts to appreciate the finer points of the beauty of the seasons, and even begins to have a little fun… when she suffers an unusual fate. One of my biggest pet peeves would be adults who review children’s books, particularly very old children’s books, only for the joy of being really snarky about them. You’ve got to cut the authors some slack and take into consideration the time at which the books were written. It’s interesting to me that both this book and the Newbery winner from the year previous (Strawberry Girl) have a surprisingly harsh, violent edge to them. This just makes me ponder the realities of the late 1940s, just after the end of WWII and with the privation of the 1930s still in recent memory. Even the most bizarre and potentially inappropriate of old books can hold interest for some. This book for example, has moments of real poetry, as well as pretty bizarre moments (ie. the ending). 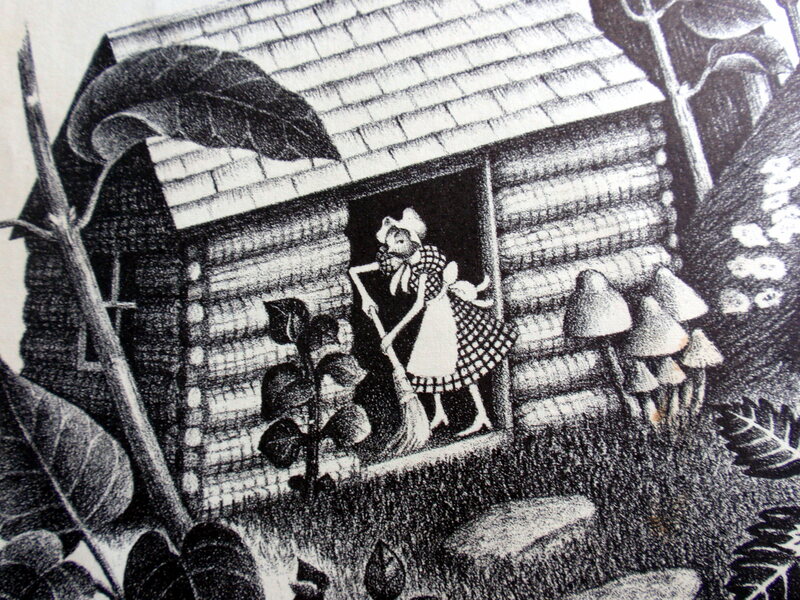 The scene in which all the farm animals mysteriously file into the barn on Christmas Eve to witness something miraculous feels strange and a little out of place – similar to “The Piper at the Gates of Dawn” in The Wind in the Willows, though not quite as masterfully written – and readers could find it either transcendent or just plain goofy. The moments when Miss Hickory lets loose and tries new things, like ice-skating or going for a ride on Crow’s back, are really lovely and evocative. 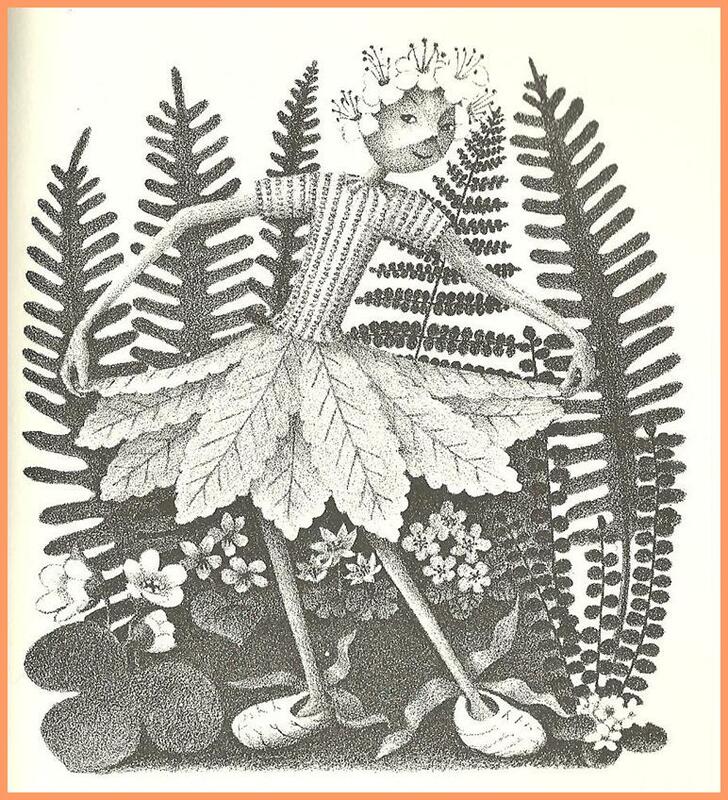 And the details of her life, especially the clothing she fashions from leaves and moss, are charming. A summing up… don’t be lulled into thinking this is a book without bite, simply because it’s about a doll. There’s some harsh reality at work here, and disturbing moments, hence the 8 and up age recommendation. The descriptions of nature and the changing seasons however, are not without charm. For those who want to push the children’s literature envelope! Previous Amos Fortune, Free Man Next Hello, I’m Back! I was a reluctant reader, but this book helped me enjoy reading.